KERREDGE THEATRE. (circa mid-1950's) - (1ST block of E.Quincy St.) - was completed in the Fall of 1902, built by hardware store owners William & Ray Kerredge (father & son). 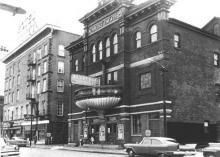 Its opulent stage saw performances by Otis Skinner, John Phillip Sousa, Fiske O’Hara, John McCormick, Sarah Bernhardt, Caruso, & many other entertainers & vaudeville groups. The Theatre burned down early in the morning of Friday, May 29th, 1959. Photo: MTU Archives - Copper Country Historical Collection (donor-Earl Gagnon). 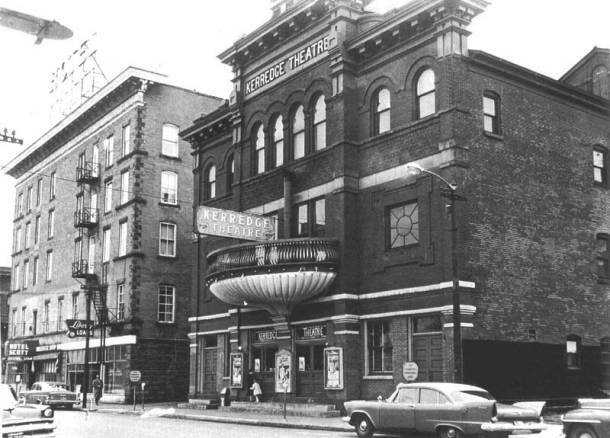 Scott Hotel,(L); Kerredge Theatre (R). 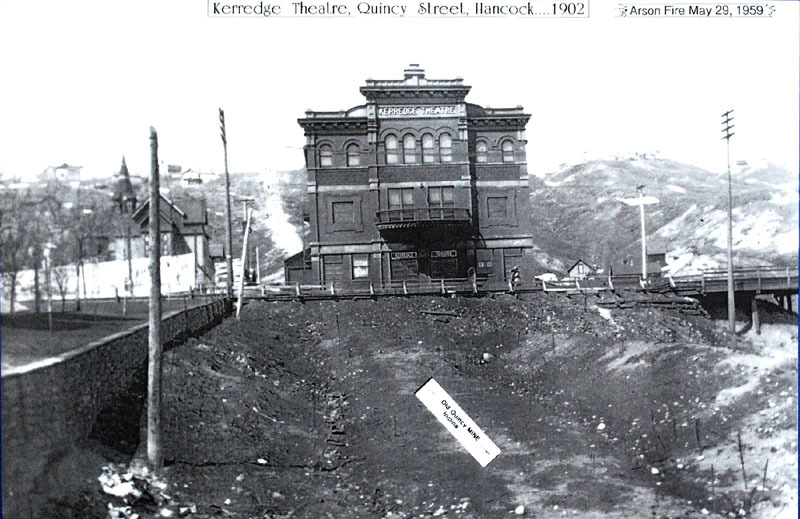 This photo of the Kerredge Theatre was taken in 1902, following a fire across the street (to the south). The Scott Hotel, which existed adjacent on the west side (left side in the image), would not be completed until August, 1906.